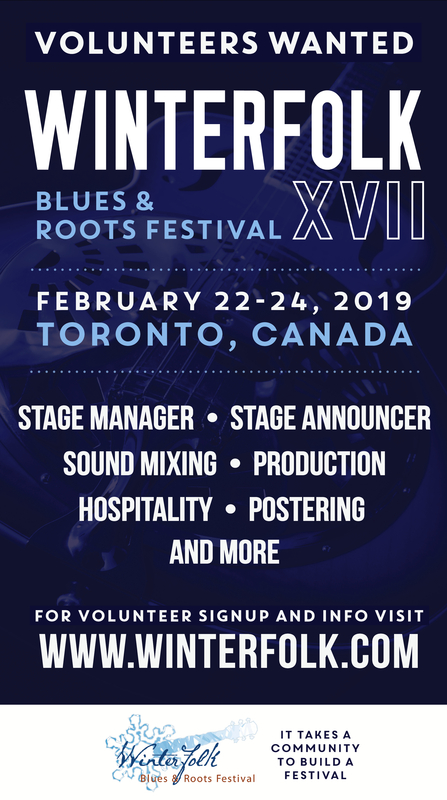 TORONTO – FRIDAY, DECEMBER 14, 2018 – Be sure to mark your calendars for the 17th Annual Winterfolk Blues and Roots Festival taking place February 22-24, 2019 in Toronto. Winterfolk is an all-ages, mid-winter, weatherproof event, where you’ll find the best of urban, blues, rock, jazz, country, folk and roots music, emulating a multi-stage rural summer festival. More than 150 artists will be performing at three venues and four stages over the three-day weekend. Wristband passes for the weekend are on sale now with a $10 discount until December 31. For more information on the festival and for updates, please visit www.winterfolk.com Media Accreditation is now open. This year’s festival will include the special event showcase “For King and Country,” written and composed by Toronto guitarist Tony Quarrington. It’s a masterful resurrection of the presiding soldier culture that enveloped Canadian life a century ago, reaching its climax with The Great War of 1914-1917. Also on hand will be community stages and various themed musical workshops with something for everyone to enjoy. 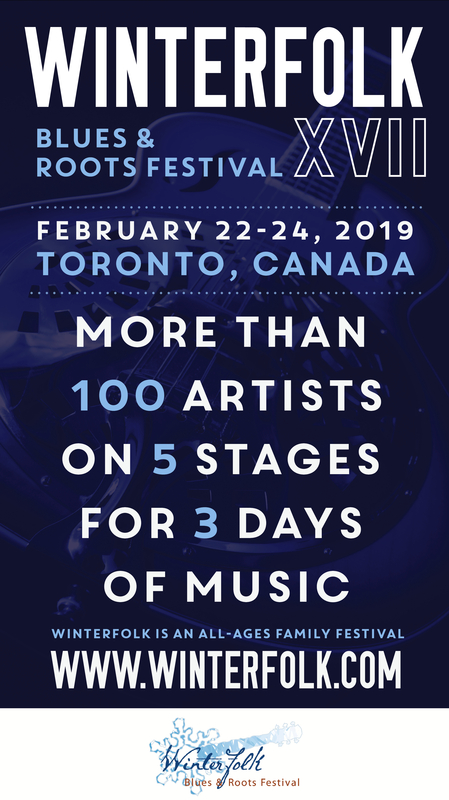 Winterfolk is a combination of paid, weekend wristband passes and special ticketed concert stages on the Danforth, and is the ideal event for music-lovers seeking new and exciting things to do in Toronto. Artist Lineup + more to be announced soon! Lynda Kraar, Lynn Harrison, Marg Stowe, Moscow Apartment, Mr. Rick, Noah Zacharin, Ori Dagan, Stuart Laughton, Tony Laviola, Tony Quarrington, Wayne Neon and more to come! !